CONWAY — Last Friday at approximately 5:20 a.m., N.H. State Police-Troop G were informed by Conway police that a tractor trailer had lost a set of wheels at the intersection of Route 302 and Route 113 in Conway. Michael Tuttle, 63, of Swanton, Vt., was reportedly driving a 2014 Freightliner towing a 2007 Utility trailer, operated by Lily Transportation Corp. of Needham, Mass., that was loaded with 45,000 pounds of animal feed coming from Richford, Vt.
During the trip, police said, the stud bolts holding a set of tandem wheels on the trailer became stripped, causing two wheels to come off the vehicle. The set of wheels was ultimately located approximately 2 1/2 miles away from where the truck was stopped. No one was injured, and no property was damaged as a result. Lily Transportation Corp. was issued a summons for a motor carrier equipment violation. 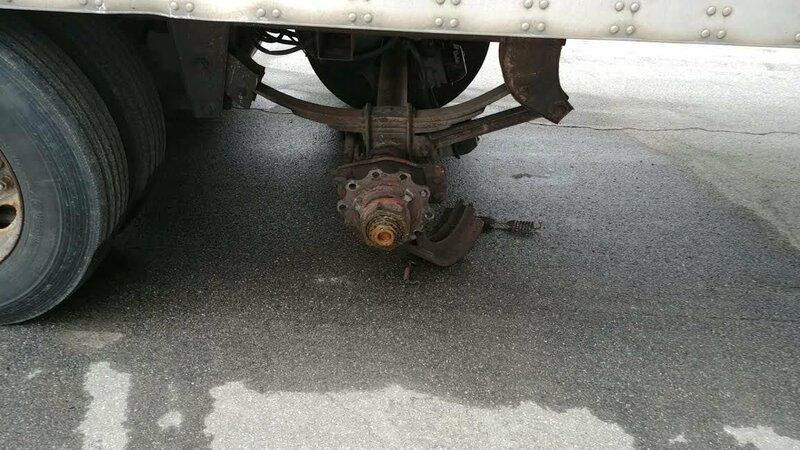 This is the second incident since April 8, where a commercial motor vehicle has lost a set of wheels in Conway. On April 8 at approximately 6:45 a.m., a dump truck also experienced a mechanical failure, where a set of wheels came off the truck and collided with another vehicle, state police said. On April 3, Trooper Benjamin Campbell of the Maine State Police was killed when he was struck by a wheel that became separated from a logging truck on Interstate 95 in Hampden, Maine. New Hampshire State Police want to remind commercial motor vehicle drivers the importance of conducting a proper pretrip inspection prior to operating. State Police – Troop G were assisted by the Conway Police Department. Members of Troop G have received specialized training to conduct roadside inspections of commercial motor vehicles.